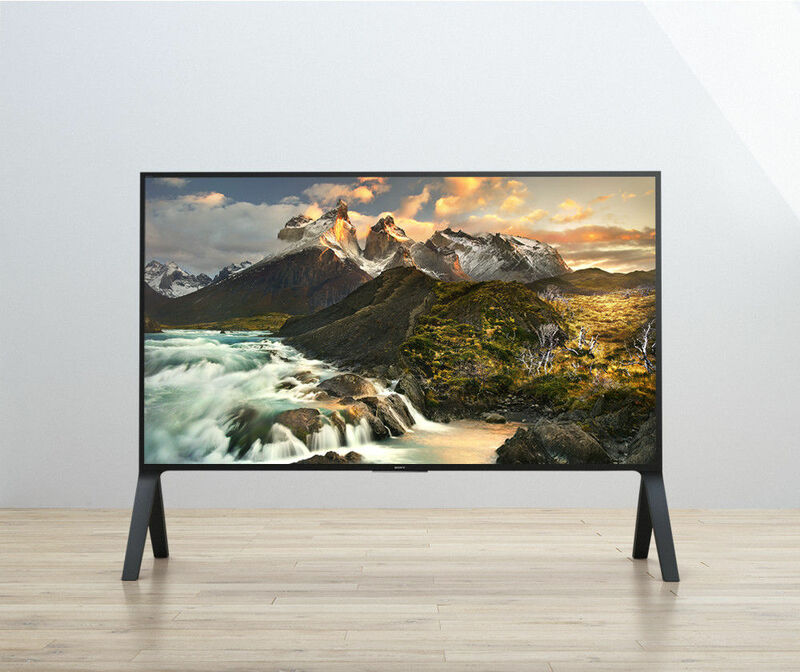 Sony’s new ultra-bright flagship TV ZD9 is available in three different screen sizes: 65, 75 and 100-inch. The new Backlight Master Drive technology enables Sony ZD9 to display objects with incredible brightness and contrast. Each lamp is controlled separately and can, therefore, optimise focus and intensity. Image source: Sony. Backlight Master Drive controls LED lamps separately. The latest TV from Sony is a 4k HDR beast. Don’t despair if you don’t find the ‘Ultra HD Premium’ sticker on the TV, since Sony uses its own ‘Sony 4K HDR’ logo rather than the industry one. Sony ZD9 runs on Android TV, which implies support from Google Cast to stream videos from mobile devices to the TV. Access to the Google Play store is of course also provided. Sony ZD9 is powered by the new 4K HDR X1 Extreme processor. It’s more powerful than the predecessor X1 processor employed by the X93D model. The additional processing power is necessary since ZD9 requires 40% additional real-time image processing. The X1 Extreme processor minimises noise and enhances contrast and details through pixel upscaling to 4K HDR. 64 times more shades of colours due to 14-bit signal processing that smooths the shades. Super Bit Mapping – reduces “banding” that occurs on many TV screens. Object-Based HDR Remaster – analyses and remasters colours of individual objects. This results in enhanced depth and real-life pictures. Dual database processing – reduces on-screen noise and upscales resolution through Sony’s vast image library, which the Japanese electronics giant has built-up from its movie business. The Z-series retails at $5,866 for the 65-inch KD-65Z9D model. The larger 75-inch and 100-inch models aren’t listed on PriceMe New Zealand. There’s no word on local availability yet for these models.